At this year’s event we’re jazzed to be partnering with kin trio. They will provide mood music throughout the day that will accompany and harmonize with the all of the wonderful thoughts and ideas being shared. i formed kin trio in 2011 with the idea to combine two of my favorite things: bebop and minimalism. musically, i come from a bebop background and will always have a soft spot for it, no matter how experimental my projects become. recently, largely through my path of becoming a natural doctor, i’ve begun appreciating meditation, silence, nature. the idea of this group is to use the context of bebop, one that is normally frenetic and freewheeling, to portray these experiences of tranquility and inward focus. most of the compositions are jazz standards that have re-written melodies that are spacious and sparse, full of silences and held tones. 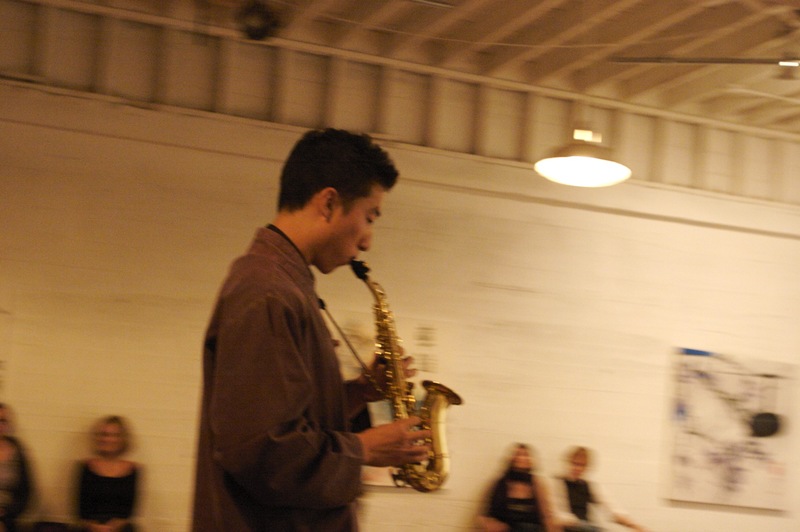 originally in kin trio i played upright bass while noah bernstein played alto sax and tim duroche played drums. then, when noah went on tour with the tune-yards and became an international celebrity for months on end, i took over the saxophone role and andre st. james joined on bass. both tim and andre are mainstays in the portland music scene and have an impressive set of life experiences and musical associations. tim’s bio and work can be found here. whenever i ask him about his work i am confronted with a flurry of sentences involving art and culture: it’s difficult for me to piece together because what he does almost defies categorization. he is an important role in the portland community in general, tying together social activists, writers, musicians, public figures, and the general public. 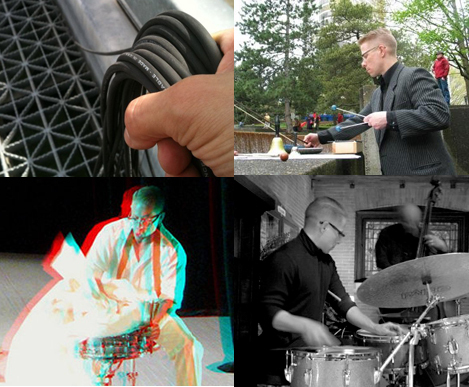 in addition to all this, he is a fantastic, sensitive drummer who gigs regularly with some of portland’s most cutting edge jazz and experimental groups. he also has a weekly radio show featuring experimental jazz music. 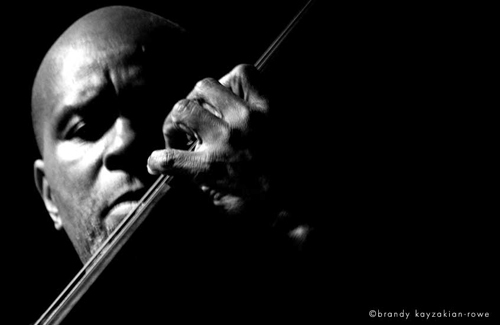 andre st. james is another pillar in the kin trio as well as in the portland musician / artist community. he’s been active on the scene for quite some time now and has made a name for himself playing with the likes of andrew hill, sonny rollins, dewey redman– and the list of luminaries goes on and on. (see more at his website) his ubiquity is not without cause: with playing that is consistently solid, inventive, and responsive to group dynamics in a way that allows creativity to blossom. the name kin trio, although first chosen without a specific meaning in mind, has come to imply a level of kinship between the three of us which i believe is evident when we are playing. i go to natural medicine school, tim is a longtime meditator, andre practices qigong daily; all of us try to maintain some consciousness about physical and spiritual health and thus are on the same wavelength when it comes to the mission statement of kin trio: simply put as “minimalist bebop”. we reject the bombast and ADHD which is normally associated with bebop and instead try and weave textures that allows the listeners, as well as ourselves, to sink deeper inward. like all worthwhile endeavors, it is a tall order and we are just at the beginning stages but like other journeys it is one that is possible through persistent cultivation. kin trio has an upcoming CD release gig for their debut CD, “roots” at the teazone camellia lounge (510 NW 11th) on thursday, march 1st. Eugene Lee is originally from Boston but now a student at Portland’s National College of Natural Medicine studying Naturopathy and Chinese Medicine. He is also an artist and performing musician, and feels honored to be part of the TEDx planning this year via logo design as well as live music for the event!